That MQA is Hi Res, up to 6x sample rates (by which he means 6x 44.1/48). MQA is (sort of) regular PCM to 44.1/48, a lossy compression facsimile between 48 and 96, and after that…nothing, notta, zip. Published on May 6, 2015. So it’s 3 years ago what Hans says, quote: ''probably it will not happen" 3 years later it does, so what’s wrong with that? Where is this said? just mention the time where this is said. Hans admits to having learned more later. what did you know about MQA 3 years ago? You never make mistakes? Hans could also took the video ofline, he chose not to do this. [DrTone] How good are you to admit mistakes? @Carl, are posters now under discussion/insult? I certainly can engage on this level if the ground rules have changed. Hans could also took the video ofline, he chose not to do this. It’s folding art is irrelevant in today’s bandwidth/storage realities, and even when relavant 18/96 FLAC is open standard, non lossy, and does not need a $license$, new equipment, updated software, etc. “Blurring” is marketing speak for “ringing”, and MQA’s solution to this largely non problem brings it’s own host of problems such as IM distortion. Sounds great though doesn’t it? You just call ‘’ its not ‘’ tell why? If the original is not hires, it will never be hires by MQA. If it is MQA and it is played on a non-supported device THEN it does play but within the limits of THAT device. Folding is relevant for the streaming party as Tidal simply because it is less data. ‘‘MQA is about DRM’’ but then quality wise for the consumer. If the original is not 24/192 but an upsample it will not play as MQA. So you have been scammed. 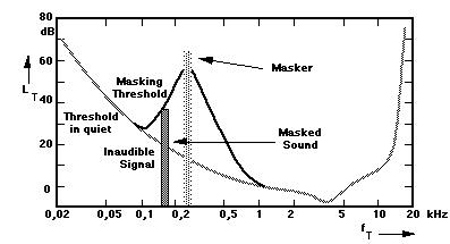 MQA consists of “hiding” the hi-res information in the inaudible range, so it is hires and not limited to the audible limit of man as the current music is limited based on the Nyquist frequency. Ten years ago a whole controversy surrounding the SACD release of Norah Jones “Come away with me”, this turned out that the more expensive SACD was simply derived from the 44.1 kHz CD version. It can be that the ‘’ MQA hidden data ‘’ produces distortion when played on a non MQA compatible device. If the reproduction is that good, man can argue that the distortions were already present in the original. Ultimately, the studio has its limitations and perhaps that’s what you hear. Does MQA sound better now? you decide. And don’t let someone else tel you what it sounds like, that’s his opinion is not yours. Do your own listening. ‘‘perceptual-noise-shaping’’ is what the therm ‘lossy’ is about. The sound is not only masked, it not in the data any more. Mp3. This is why Mp3 should not be upsamled, and believe me it’s done by some people!! Due to the filtering scheme (really two - the one used in the folding process and the one used at playback), the distortion is always present and measurable. Bob S admits this. You are in error. MQA is lossy, and MQA Ltd. explicitly admit this. Why would anyone want this, even if it was “free”? You can accomplish everything MQA does with already existing codecs (such as MP3). You can accomplish everything MQA does with already existing codecs (such as MP3).